Virginia Josephine Coale became the firstborn of Edward and Madge (King) Coale on May 6, 1930, in Wyandotte, Oklahoma. She was united in marriage to Gerald Bland on August 31, 1951. They enjoyed nearly sixty-three wonderful years together living in the Black Jack community. She was saved and sanctified at the Black Jack Church of God (Holiness) and faithfully attended until recently when failing health no longer permitted. She left her earthly home on Sunday, July 13, 2014, at the Community Springs Health Care Facility where she had been a resident for the past five months. She was preceded in death by her beloved husband Gerald, her parents, a brother Stephen Coale, and sister Shirley Shellhorn. 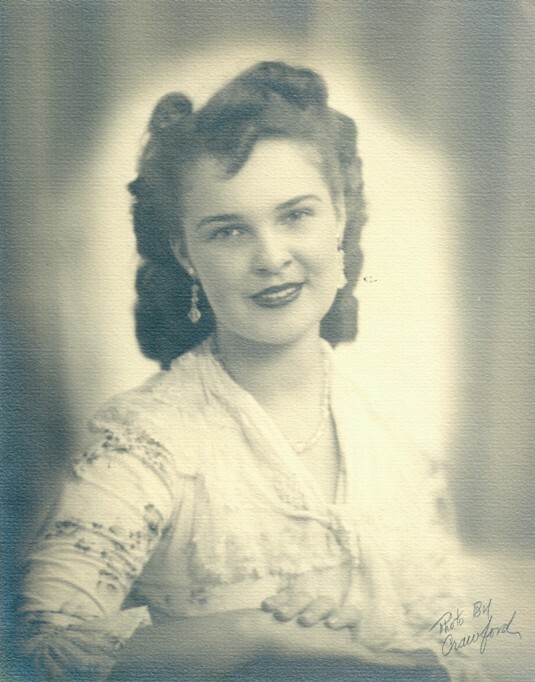 She is survived by her brother Maynard Coale and wife Ruth Anne of Gladstone, MO; sisters Donna Neely of Butler, MO and Francis Marshall and husband Melvin of El Dorado Springs, MO; sister-in-law Wilma Burres and husband Lester of El Dorado Springs, MO; longtime friend Linda Witt along with numerous nieces and nephews. Virginia’s home was a haven for anyone wishing to experience good company, hospitality, and great cooking or needing a word of encouragement or advice. Trouble seemed to lessen and burdens lighten when she promised to pray. Her strong faith and godly life was an inspiration to her family, church and community. Her homegoing resulted in a “happy reunion on streets of pure gold” with the wonderful man with whom she shared her life along with many other friends and family. Her legacy will be a constant reminder of her love for God and others.